Come along on Saturday afternoon for organised social play 1.00 - 3.30pm followed by afternoon tea in the Clubhouse. Everyone is welcome, and we encourage junior interclub members to join in too. All matches are doubles and you have a change of partner every 25 minutes. Senior players are usually 16 years or older, but some spaces are provided for our most promising U16 players who want the extra challenge. For the 2018-19 season we will have a Premier Mens & Womens Team as well as divisional teams - both Men & Women! For the 2018-19 Summer, registered team members will have a training/hitting session at the Te Kura courts on Wednesday 6.00 - 7.30pm run by the coaching team. For all competitive players who would like to get involved at our sessions at Te Kura Hagley Park , don't hesitate to make contact with the coach. We are always looking to build and create a great social atmosphere as well as healthy competition. Finally, if you want to come down and support any of our senior teams in action this Summer, we'll update you on the home games on our Facebook page. TKHP Tennis has three mid-week teams that play interclub competition. Wednesday mornings we have an A & B team who play with clubs from the surrounding area. Friday mornings we have an A grade team playing through Canterbury tennis with clubs from the Christchurch area. Monday morning Tennis at Hagley Park Courts - back in 2019! Please contact Vicky Jones chchjones@xtra.co.nz if you would like any more information/ and restart date. Feel free to invite your friends along - non-members can pay as they go. Games of doubles and mixed, balls provided, prizes sponsored by Trevinos bar & Restaurant. Feel free to invite your friends along - non-members can pay as they go. Come and have an after match drink at Trevinos too if you're keen! Cost: FREE for members, $10 for guests. Group coaching for beginner to intermediate players. 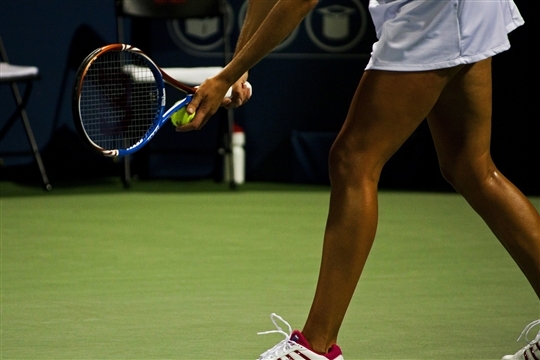 Improve your tennis with instruction on all strokes and gain confidence to play matches. Cost: $10 for members, $15 for non-members. Get a great cardio work-out playing fun tennis based games, with upbeat music to help you stay on your toes :) You don't need any tennis ability to take part and you don't even need a racquet! We have spare ones available. Time: Tuesdays 6:45pm - 7:45pm.